As of the new moon on February 8th, 2016, we said goodbye to the Chinese astrological Year of the Sheep,(quiet, peace loving, sensitive energy) and entered into the more mischievous mood of the Year of the Yang Fire Monkey. If you are born in a Monkey year, (1920, 1932, 1944, 1956, 1968, 1980, 1992, 2004), then 2016 is likely to be a significant year with lots of opportunities to grow and flourish. Those born in Monkey years are said to be curious, clever, quick witted, playful, inventive and versatile. They are lively, social, confident and self-assured. Weaknesses may include a tendency to being jealous, suspicious and cunning, and perhaps tending towards the flip side of self-confidence, arrogance. 2016 is a yang fire year, and it is said to be a good doing year for all of us, a year for action and movement. Perhaps it’s the year to make friends with your own monkey energy and take some confident leaps forward? Picture and sense the energy of a monkey; leaping, running, jumping, moving confidently through the trees, adapting easily to the environment, keeping lookout for opportunities, and asserting its’ social position within the troop. Monkeys are cunning and clever – quick to act and employing inventiveness to make sure they get the biggest share of the peanuts, every time. 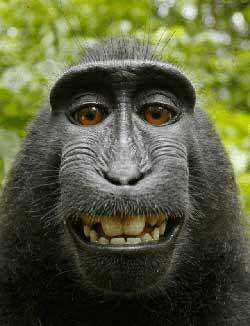 Are there areas in your life where you might be wise to employ some positive monkey attributes? I have recently been lucky enough to immerse myself in an Insight Meditation retreat, and as such I have had plenty of opportunity to experience and observe what the Buddhists refer to as “the chatter of the monkey mind”. Seeing as it’s a monkey year I thought it timely to take a peek into the phenomena of the Monkey Mind. 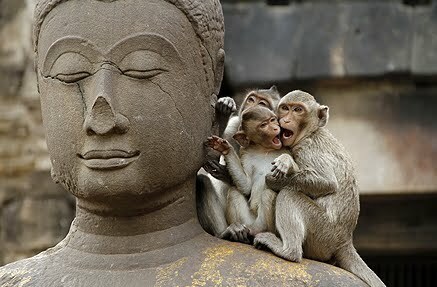 Buddha described the human mind as being filled with a troop of drunken monkeys; all screaming, chattering, leaping wildly from branch to branch and all demanding attention. The monkeys are a bit like a bunch of 3 year olds at a party that are high on soft drink and lollies. The Monkey Mind is wild, self-obsessed, fearful, confused, restless, capricious and uncontrollable. Most of us are familiar with this rowdy troop that live in the mind jungle, and without skillful awareness, the monkeys rule! 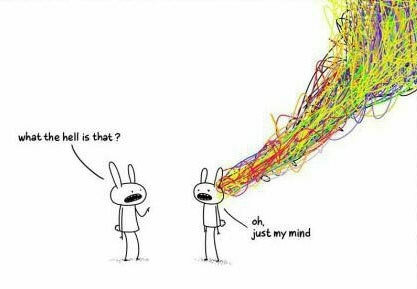 Typical monkey mind chatter follows very familiar and predictable patterns about who we are, how we behave, what we have to do, what happened to us in the past, what may happen in future… and fills our life with endless instructions, fears, criticisms, judgements, desires and fantasies. The same patterns repeat over and over again. This crazy, unbridled mind activity makes it very difficult for us to relax and enjoy what is actually happening – the simple pleasure of being here, engaging with life and all it offers in the present moment. Monkey Mind suffering is palpable. It keeps us stuck in our own private, rather miserable zoo; all iron bars and padlocks, and we are swamped by negative feelings such as isolation, loneliness, shame, anger, futility and despair. It is like the control of an unruly horse which must be made to obey it’s rider. The Buddha observed that if you spend some regular time quietly sitting, inquiring and learning to focus the mind, you can begin to tame the monkeys. There are no quick fixes and no magic formulas, but there is a 2 thousand year old history and a very well worn path of experience, experimentation and wisdom available for the student to draw inspiration from and follow. Simple meditation practices such as focusing on and sensing the flow of your breath, or watching the feeling states shift and change, help the mind to become more stable, and in time the Monkey Mind will settle. Consistent practice of clear-seeing observation and loving self-compassion starts to lift the veils of denial, delusion and distraction. You see that the imprisonment of the Monkey Mind Zoo is self-imposed. The structures are completely fabricated; a fortress built out of the clinging on to old habits, ideas, beliefs and fantasies about who and what we are. And like the photo of the Buddha & monkeys above, the steadiness, acceptance, and friendly compassion in the face of the Buddha is required. We must invite the monkeys to come and sit with us. We say to them, " You are welcome. Come rest with me & feel my steadiness, you can play and dance all you like. I am here and I will not abandon you!" The small man builds cages for everyone he knows.